Some Taliban are allied with Pakistan, against America. Other Taliban are against Pakistan because of America. None of them are ‘moderate’. Choose your pick: aspirin or scotch. You’ll need help to cope with this week’s news from Pakistan. First, there is Mullah Omar and his shura, all but openly operating out of Quetta in Balochistan, reliably with the connivance of Pakistan’s military-jihadi complex. Mullah Omar’s group is primarily interested in fighting Western troops in Afghanistan. Second, there is the Pakistan Taliban, operating out of Bajaur and Swat, in Pakistan’s FATA region. Baitullah Mehsud and Maulana Fazlullah are primarily interested in fighting Pakistani troops in Pakistan (although the converse is not entirely true). Even so, Messrs Mehsud and Fazlullah are patriotic Pakistanis, as the Pakistan’s military spokesman informed us after the terrorist attacks on Mumbai, going to the extent of threatening to attack India in case of the latter declared war on Pakistan. Then again, they just threatened to kill the leaders of Lashkar-e-Taiba and Hizbul Mujahideen, for not taking up arms against the Pakistani government. Third, out of the blue, or rather out of the grave the Pakistani army presumably dug for him, comes Mustafa Abu-al Yazid, one of al-Qaeda’s ‘top leaders’, with a video threatening India with all sorts of dire consequences were it to go to war with Pakistan. The video is out of pattern with those released by Osama bin Laden and Ayman al-Zawahiri and could well have been the handiwork of the ISI’s psy-ops unit. Confusing? Well, yes. But even so, it should be clear that other than Messrs Mehsud and Fazlullah (who form the core of the Pashtun militant groups that form the Tehreek-e-Taliban Pakistan) the Pakistani military establishment is comfortable with the other jihadi groups—whether it is Mullah Omar’s Taliban, al-Qaeda, the Lashkar-e-Taiba, Hizbul Mujahideen and groups fighting in Afghanistan, like the Haqqani militia. And if there is a problem between Mehsud & Fazlullah and the Pakistani government, it is largely due to the deployment of the Pakistani army in FATA. But to the extent that Pakistan’s military establishment complex finds it unacceptable for the Pashtun tribesmen to extend a Taliban-style regime over FATA and NWFP—which will happen if the army backs out completely—this creates trouble for both Pakistan’s civilian government and the military establishment. This is the big problem: and as K Subrahmanyam and M D Nalapat envisage in this month’s Pragati—the war to Talibanise or DeTalibanise Pakistan is inevitable. If we take Hamid Mir’s word for it, the fact that the Lashkar-e-Taiba and Hizbul Mujahideen have come under the Pashtun Pakistan Taliban’s crosshairs validates the use of the term "military-jihadi complex", as the military and the jihadi establishments are joined at the hip. But if the Pakistan Taliban carry out their threat, can we expect the Lashkar-e-Taiba to direct its energies against the Mehsuds and the Falzullahs? Actually, it’s not a question of possibility—it ispossible. The more important question is what will it take? Further, the alliance between Mullah Omar and the Pakistani military establishment may well have survived the Bush administration. But there are signs that under Barack Obama, the United States might attempt to crush the Quetta shura, despite Pakistan’s best attempts to convince it otherwise. 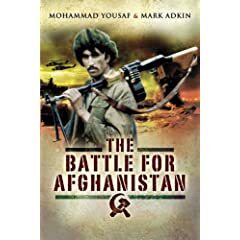 In the event that the United States manages to sever this alliance then Mullah Omar might well make common cause with Messrs Mehsud and Fazlullah, thereby driving the Pakistan military establishment to side with the United States. Indeed, this is the outcome that Richard Holbrooke and General David Petraeus should be working towards. What about al-Qaeda then? Whatever might happen to its relationships with the Taliban groups, the Pakistani military establishment has an enduring interest—beans, cats and skeletons being involved—in keeping Messrs bin Laden and Zawahiri out of US hands. Besides, it is al-Qaeda that helps Pakistan by providing ‘senior leaders’ who can be killed by UAV-fired missiles, and yes, occasionally by appearing in threatening videos.